This publication provides an introduction to the planning and design of air traffic control facilities, such as would be required at airports and airfields. Building-types discussed are the Terminal Radar Approach Control Facility, Area Control and Surveillance Facility, Joint Control Facility, Air Traffic Control Tower and Air Traffic Control Tower Base Building. Learn when and where uninterruptible power supplies are needed.. This course is intended for civil engineers, architectural engineers, structural engineers, mechanical engineers, electrical engineers and construction managers engaged in planning, design and construction of air traffic control facilities. This course will give professional engineers and construction managers guidance for planning and design of air traffic control buildings for commercial, private and government airports and airfields. 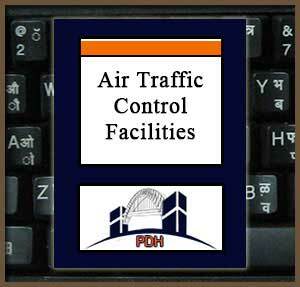 This is an introduction to typical planning and design parameters for air control facilities. This course will give you technical guidance you can apply when planning and designing airport and airfield facilities.